8.1.5 offers 20 new pets. A handful will not be collectible right away, and collectors will need to wait for the next associated in-game event. Check out all 20 new pets! 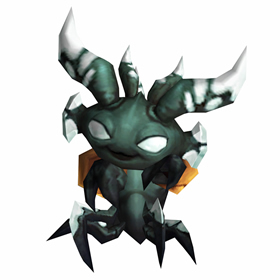 There are 11 dropped pets that are Bind On Pick Up but cageable, and can drop from LFR raid difficulty and higher. 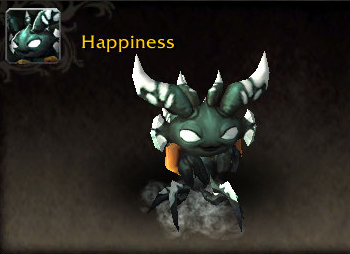 Collecting all of these pets will complete the achievement Raiding with Leashes VI: Pets of Pandaria, which awards the adorable and unique Happiness pet (pictured right)! The Darkmoon Faire has already come and gone for this month, however starting next month there will be 3 new companions to collect. Enjoy the faire in style with fun balloons! Each balloon companion (pictured above) will cost 90 Darkmoon Faire tickets each, is Bind On Pick Up, cannot be caged, and cannot battle. The denizens of Kul Tiras and Zandalar will be celebrating Children's Week this year. 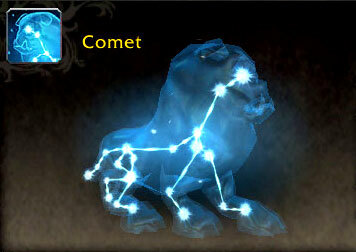 There will be 4 new battle pets (one pictured left) to collect during the event in May. Level 110+ characters can earn these pets by completing the Battle For Azeroth Children's Week quest chain. This can be done on both Alliance and Horde. The quests are not account-wide so they should be doable on multiple characters, making collecting all four pets during the same event possible. Max level characters can complete a short quest chain to earn the neat mechanical parrot, Feathers (pictured right). To begin the quest, pick up the breadcrumb quest from an NPC on the main boat at each faction's main hub in Battle For Azeroth. This quest should lead to Kelsey Steelspark (Alliance) or Trade Prince Gallywix (Horde). Players will need to have completed the 8.0, 8.1, and 8.1.5 War Campaign storylines first. The quests continue the story of two particular characters that appeared in the Before the Storm book. For a full walk-through (spoiler alert! ), check out Wowhead's Alliance and Horde overview of the quest chain. Last but not least, the Brawler's Guild is back. Tylarr Gronnden and Clock'em can be purchased after meeting the requirements (Brawler's Guild - Rank 3). As with all content patches, there may be a number of undocumented and/or unintended adjustments. We'll have updates should we discover any additional changes, so stay tuned. A few pet profiles may be incomplete and missing images — we're working on updating those as soon as possible. Thank you for your patience. If you find any other bugs, please report it via our Contact page or Site Bugs and Suggestions forum. 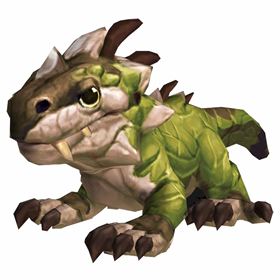 Which battle pet are you most eager to collect in Patch 8.1.5? There are lots to choose from so it might be tough to pick just one! Battling NPCs and trainers is often inevitable when collecting battle pets. Sometimes it's fairly easy to come up with a winning team and strategy, but other times it can become a challenge. Xu-Fu's Pet Guides is an excellent resource for those extra-tough battles. Created by Aranesh, the site is maintained by a few members in the Pet Battle community. Their passion for Pet Battles means only the best information and guides for fellow battlers! 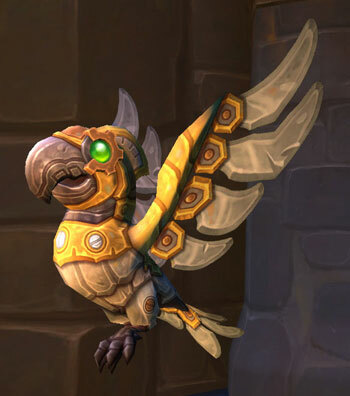 Learn how to defeat NPCs in zones dating back to Pandaria, how to complete Pet Battle Dungeons, earn Pet Battle achievements, or learn more about which pets are good in Pet PVP. Detailed guides are explained on a turn-by-turn basis (example pictured right). In the event you might be missing a pet in one of the strategies, there are often multiple possible strategies for any given battle. 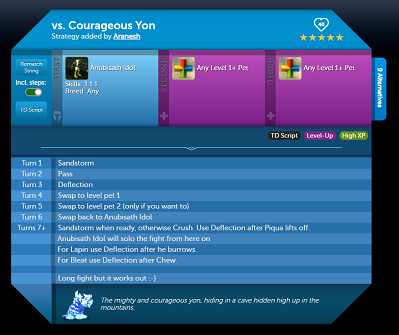 Strategies are user-created and tested, and they range from matches using the least number of moves to carrying a low level pet in a trainer encounter. Many guides also include comments and notes that might be useful in especially tough battles. In addition to guides and strategies, it provides additional features such as TD Scripts and even collection stats. If you're stumped on a particular trainer battle, look no further than Xu-Fu's Pet Guides. It has a wealth of knowledge that can help in almost any pet encounter!